The front panel is of equally high quality, and houses a pretty extensive fan control and temperature monitoring system. 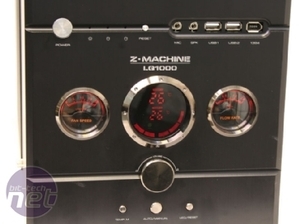 In fact, the front panel is very similar to the Zalman’s Reserator XT's, with the same dual dial displays for fan speed and water flow rate and a red LCD readout with two temperature probe displays, available in °C and °F. 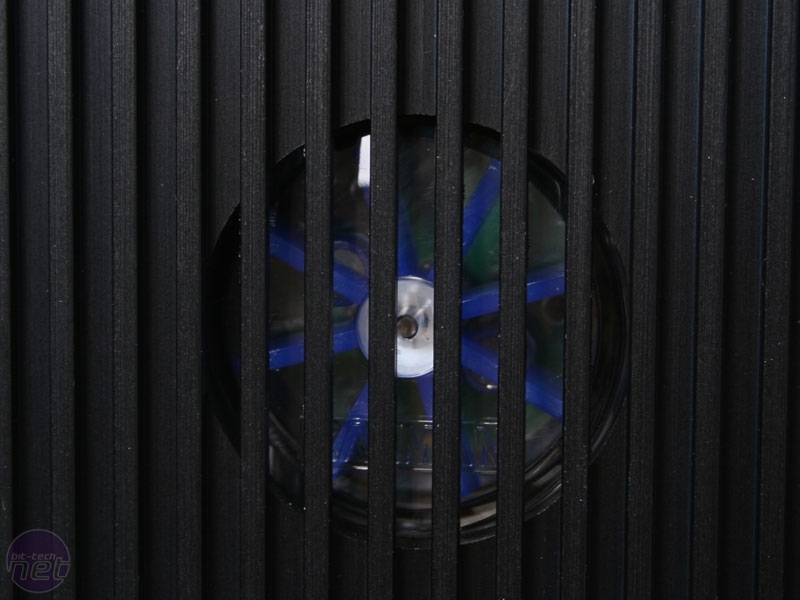 The inexplicably named volume control knob also returns from the Reserator XT, which in reality operates as a speed control for both the LQ1000’s cooling fans and the water cooling loop’s pump, giving you direct control over just how noisy you want your case to be. In the past I’ve frequently bemoaned the lack of inbuilt fan controllers on cases, so to see one so nicely built into a case’s design is a refreshing and welcome change. The dial has a good resistance when turned, and controls the fans between 12V and 5V and the pump between 0.6 and 1.5 litres per minute (with the default loop setup). There’s also an automatic setting if you’d rather the case set its own noise levels, dependent on system temperature, and even a button to switch off the red back lighting of the front displays entirely – it’s a wonderfully well featured control system, although we’d perhaps have preferred a little more control over everything, but there is still something to be said for keeping things simple. There are the usual contingent of front panel connectivity with dual USB 2.0, microphone, headphone and Firewire, but no eSATA. Additionally, there's also power and two HDD activity LEDs and nicely tactile power and reset buttons capping off a very impressive front fascia array. 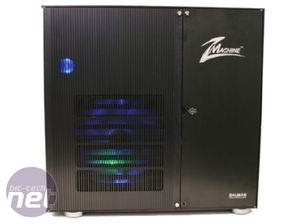 External drive bay wise, The LQ1000 has four 5.25” drive bays and a single 3.5”, although Zalman only ship the LQ1000 with three 5.25” blanking plates – we do all use an optical drive of one sort or another after all, but if you were wanting to make a stealth mod though you'd be out of luck (and to take a dremel to a £400 case you'd have balls the size of watermelons!) . The blanking plates that are included are (surprise surprise) of the highest quality, and made of the same 5mm aluminium as the rest of case. 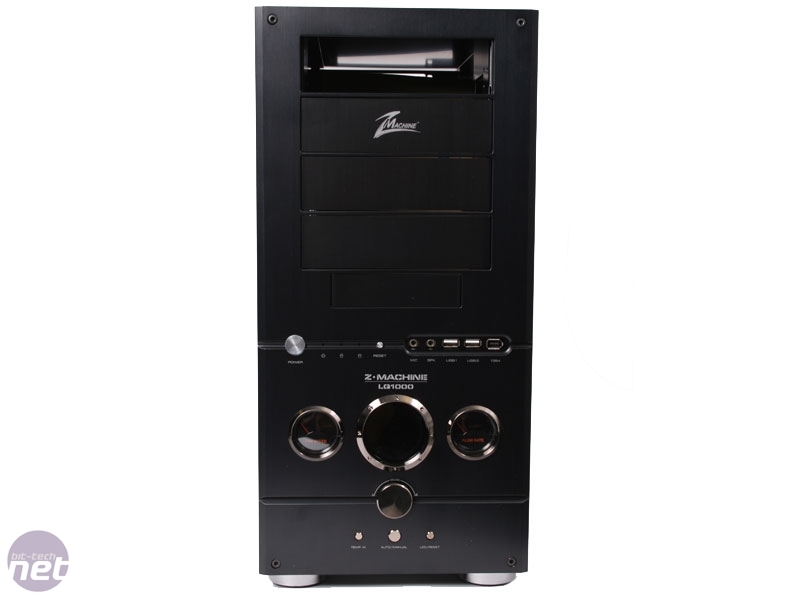 Elsewhere the LQ1000 comes pre-fitted with four sturdy plastic feet to give it that little bit of elevation above ground, and the rear plate is also 5mm aluminium plating and as well cut as the rest of the case. We really can’t overemphasize the build quality of the LQ1000’s exterior – it’s simply unlike any other case we’ve seen. You really get the feeling that this is a piece of high end precision engineering and it’s all been brilliantly designed and put together. Perhaps our only quibble is the use of Allen key screws – whatever was the problem with the trusty Phillips head? While every panel bar the top can either be opened or removed, the use of Allen screws on all but the left hand side is very frustrating. 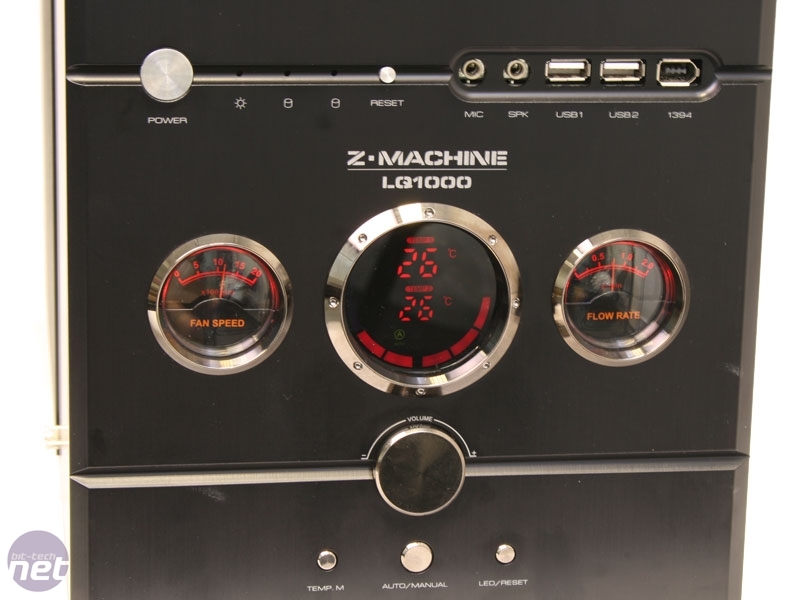 We also had an argument in the office over whether the large ZMachine logo spoiled the look - some of us didn't mind it at all, while others thought it detracted from the straight lines and clean and efficient styling. Like all aesthetic discussions, it was particularly polarising. 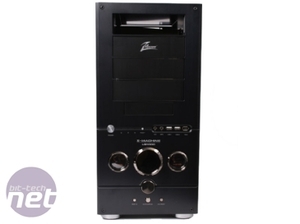 Zalman's latest enthisaist-grade release is a pair of power monitors for CPUs and GPUs. 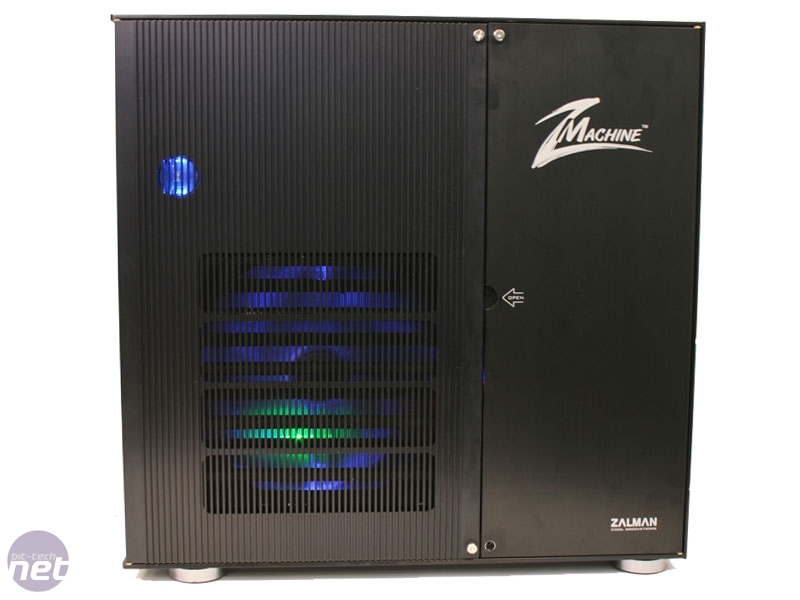 Zalman's original GS1000 case didn't quite have what it takes to justify its price tag or compete with models from Antec, Cooler Master and SilverStone. 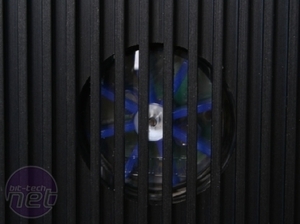 We take a look at Zalman's second effort, the GS1000 Plus to see if it's more worthy of your cash.